Douglass High junior Kelly Broadus is a team player who also excels in an individual sport and has been named Detroit Public School League Proud Strong Learner of the Week. Making the transition from running in the woods to running on the hardwood is a common occurrence in the PSL. A lot of cross country competitors are basketball players pushing themselves to get in shape. Broadus is no different, except for the fact that he’s unbeaten this season on the 5,000-meter course at Belle Isle and has showed steady improvement in each of the four races he’s won. Broadus competed his first two seasons at King High, where Brooks formerly coached basketball and cross country. “His first two years he would come in second place overall but he could never get over the hump to beat the young man (three-time PSL champion Juan Flores) from Western,’’ Brooks said. 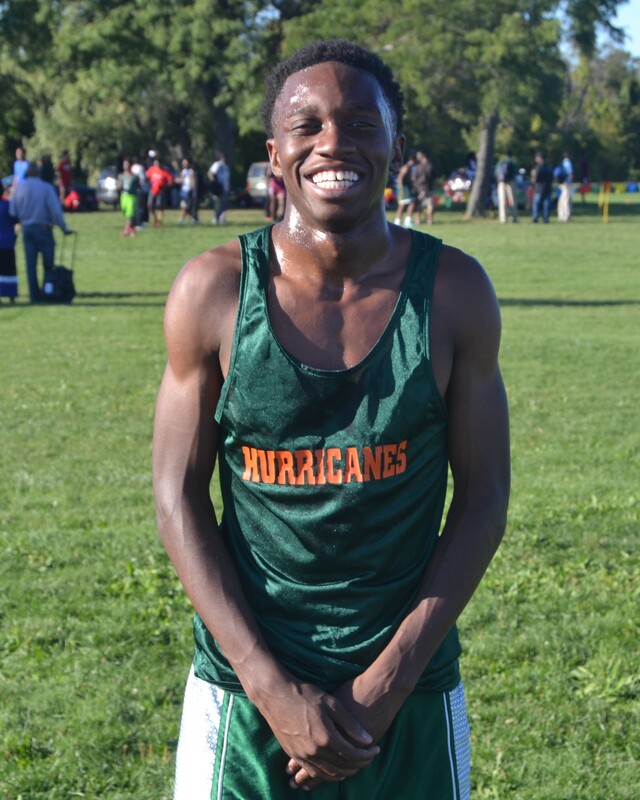 This year, Broadus has emerged the favorite to win the PSL boys’ cross country gold medal and has graced the Hurricanes with the same sunny disposition his coach has always appreciated. “Kelly keeps a smile on his face and is a pleasure to be around,” Brooks said.